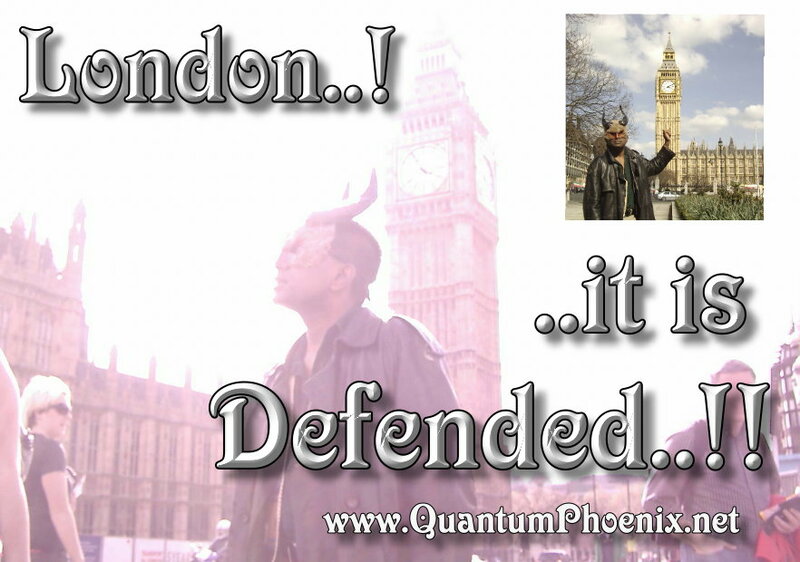 Pagan Frontiers of London | QuantumPhoenix.net – Esoterica, Paganism & Ritual Magic. 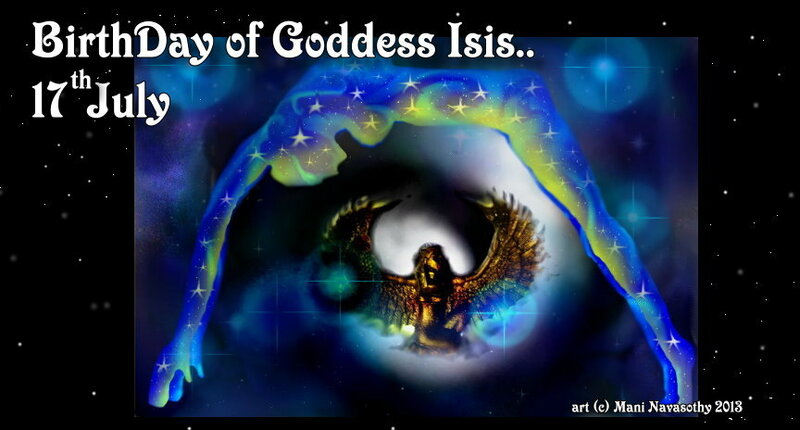 Birthday of Goddess Isis – Night of the Cradle-17th July – all over the Universe! Wishing a very special Lady many happy returns. Birthday of Goddess Isis – 17th July – everywhere! I will be leading a special (2nd annual) Ceremony and social gathering to mark this event on this coming saturday (19th July) at Richmond..
Do join us. . Meet at Richmond Station by 4.30pm.. and we’ll be walking up to the ritual spot later. (it’s a 15 min walk.. so we may `process’ in a nice line, carrying ritual items, a banner and a 1 metre Isis Barge that will be sailed symbolically on the waters later..). **Venue**: Richmond Upon Thames- by River side. This is normally finalised on the day by the Organiser, by judging the various factors. So please don’t ask for text/phone instructions .. We meet and go together and do the ritual. That’s the easiest way. A decorative altar with Sky Goddess Nut and a concealed statue of Isis will be set up. Element consecrations (incense, lantern, salt/water). Isis called by her many names! This will be a chant led by Mani and all repeat. Milk & flower Ceremony – all bath statue in milk), followed by offering of flowers. Food & drinks blessed and shared. Collected Milk & flowers offered to river Thames in a small boat! Food & drinks to share. 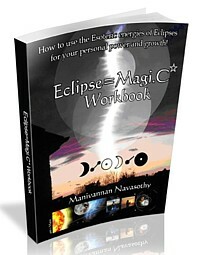 New Year’s Day.. is also a New Moon! If you fancy having a central london social (public place) with fellow pagans & friends, watch the midnight fireworks..and start the new year ..in a truly magical way… come join us! This is an informal social in a public place..! There are no agendas, schedules, event managers.. It’s all free-flow!! We are getting to our spot early (9pm) and `secure’ a bit of space.. so we can hang out.. Come find us (if you are late you may have trouble getting to us through crowds)! We plan to do a spot of moon magic, some spontaneous singing & chants, light drumming & music perhaps, bless a chalice of wine or two, have cakes..and begin the new year ..with magic woven into all that fireworks! Be prepared to stand around and have fun for 3+ hrs .. and be prepared to face lots of crowd ..and then travel home in night buses and late trains..
Good News? We’ve been to central London for New Year fire works.. Nearly all the people in the streets are in a jovial, fun social mood..
And we’ll be part of that..and add to it!! Pagan Pride Parade – is a free street-based public event.. where all the pagans, witches, wizards, druids, new agers and ordinary pagan folks come together …to celebrate their path…with a flamboyant parade. Previously organised by Jeanette Ellis for 13 years as part of Beltane Bash. All welcome to the annual `Pagan Pride Parade’ in London. Sunday 2nd June 2013. Gather outside the entrance of Conway Hall, Red Lion Square, Holborn, London (nearest tube: Holborn – Piccadilly Line). Meet-up 12 noon. Wear pagan costumes, masks, bring drums & portable musical instruments, bring banners to carry …either about Pagnism or about your own pagan groups..
Procession ends at Russell Square Park..
Here’s the screen shot of the `new look’ of the Pagan Frontiers of London. This website has been active since October 2006, and currently serves over 42,000 visitors now! Pagan Frontiers of London – is the community gateway for all Pagans, Magicians, Wiccans & Witches, new comers, students & media people. 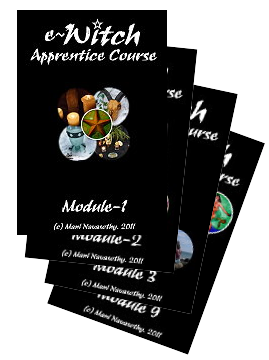 It is here to provide networking platform, as well as Information, Advise & Guidance on Pagan events & activities in London. Open rituals, Courses, Ritual groups, social moots & talks, Conferences, conventions, Eco-magical activities, festivals, pagan community organisations, eBooks, pagan products & holistic professional services …are all FREELY publicised in this gateway site. Previous facebook page – created entirely by me on my own initiative, and supported by The Pagan Federation – had been growing over the last 4 years (since 2008) to fan numbers of about 1,800+. But unfortunately, that old page had to be taken off-line in October’12, due to some online bullying and harrasing that I myself was subject to within that Page. In my life, lightening does strike the same place many times.. Sometimes it causes `Towers’ to fall.. and other times, ideas are energised and come alive.. But my past achievements and developments were not just fluke, but result of sustained hard work over many years – to have the farsight, ideas, create, collaborate & network with others, develop and nurture systems, groups, events, communities and online platforms. So here we are…with new ventures and launches ..light and dark horses controlled expertly.. and `Chariots’ steered masterfully, with the wisdom of the `Hermit’ within me offering guidance, after the solitary works of the winter months. I would like to make a special thanks to close family, friends and certain experienced Wicca Elders & Pagan people in the Pagan Community (they will be wonderfully acknowledged when the Time & Tides are right) – who have not only given me moral support through my `hermit’ months, but made me realise that I have my place in the scheme of things, even if I had felt like a `Hanged-Man’!